Hidden away in a great Westerville nook, The Hideaway offers exactly what you want. Choose from our spacious 1 or 2 bedroom gardens or our 2 bedroom townhome with basement utility room and cozy wood-burning fireplace. Enjoy your private patio or deck, alone or with your friends. Either way, you'll have it all at The Hideaway! 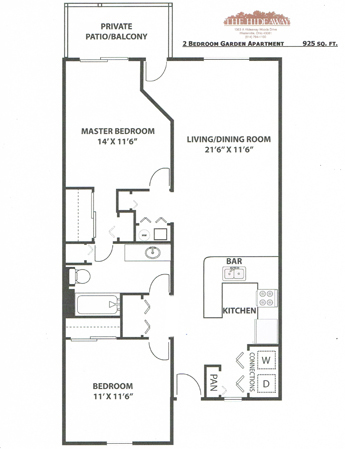 1 Bedroom Garden Apartment, $740-$870/mo., 775 sq. 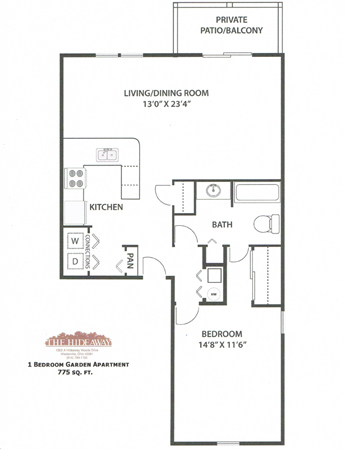 ft.
2 Bedroom Garden Apartment, $840-$970/mo., 925 sq. 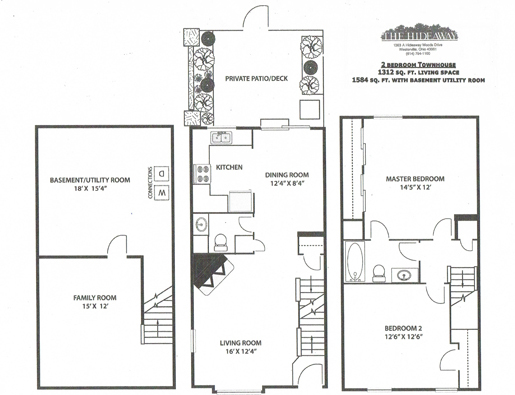 ft.
2 Bedroom Townhome, Finished Basement, $1,005-$1,180/mo.